Zen and yoga are traditions which share ancient roots. In both practices we bring awareness to our moment-to-moment experience of breath, body and mind. Please join us in exploring how these two traditions complement and support each other. 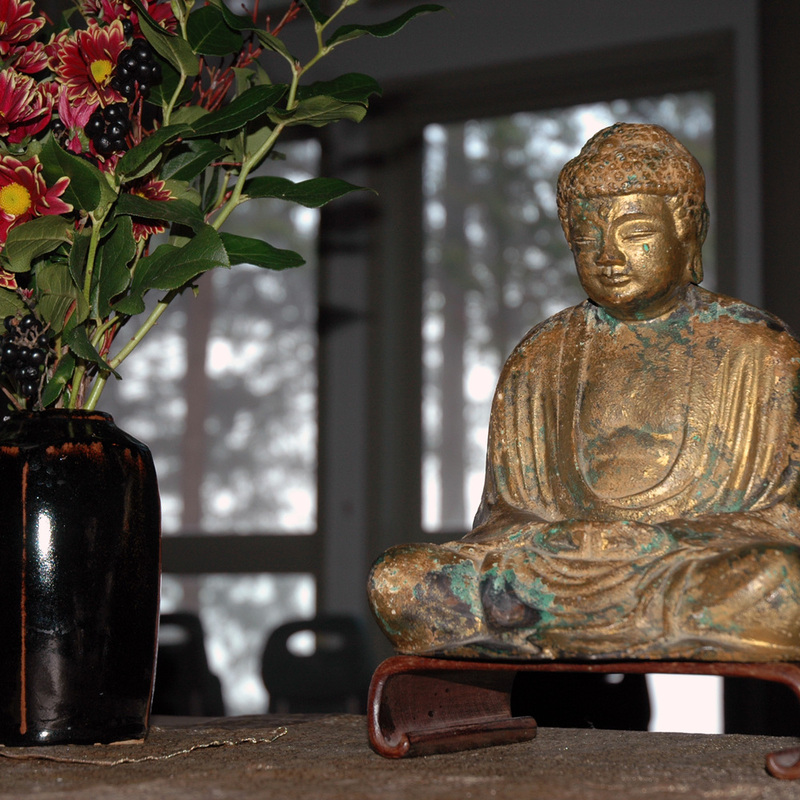 The retreat will include periods of yoga, silent sitting and walking meditation, as well as dharma talks on Zen with Q&A. Please bring a bag lunch. Herbal tea will be available. Myoshin Kate McCandless is resident teacher of Mountain Rain Zen Community in Vancouver. She has been practicing Zen for more than thirty years. She has worked as an organic farmer, ESL teacher, translator and clinical counsellor in the areas of women’s health and hospice care. Kokai Nadine Apicello is a long-time yoga and Zen practitioner and has been teaching yoga for more than twenty years. She received lay ordination in 2011. She has been certified in different yoga traditions and her teaching is an eclectic blend of styles she has studied such as Integral, Iyengar, Tantra, Restorative, Taoist Yin/Yang Yoga, Vinyasa. Reduced fees are available to those on a limited income. Please complete the Day Retreat Reduced Fee Request form (click the link to access the form). No one will be turned away for lack of funds. Retreat fees cover expenses. There will be an opportunity to give a donation/dana to the teacher at the retreat.